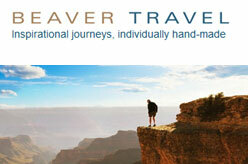 UK’s leading specialists for Luxury Multi Centre Holidays. Offers tours to South America, India, Israel. Beaver Travel offers individually hand made holidays, family holidays, singles holidays or corporate travel solutions for more than 50 years. Phone : 01923 289 100 (Main Reservations), 01923 859 292 (Business Travel).